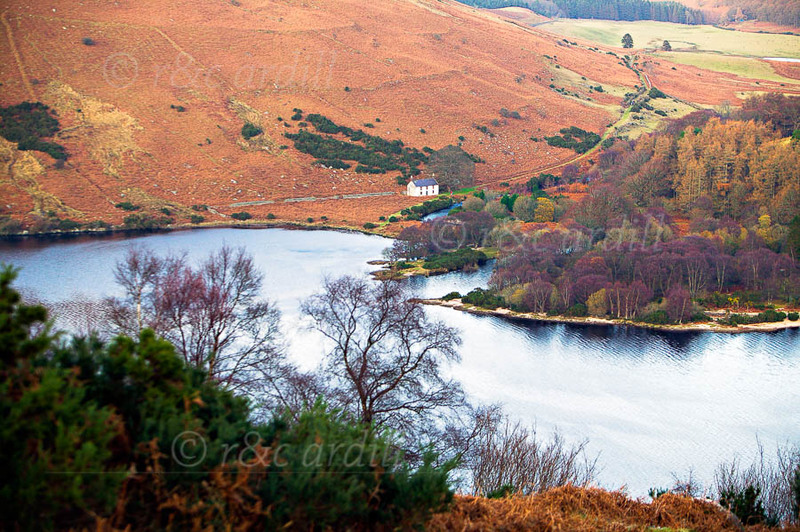 Photo of: East Coast of Ireland: Wicklow: Lough Dan. Lough Dan is probably the loveliest lake in the Wicklow Mountains. It has wonderful broadleaf and evergreen trees surrounding it. On the far side are the slopes of Knocknacloghoge mountain.